-DOES BLOOD FLOW RESTRICTION TRAINING REALLY WORK? Multiple research labs in independent studies have reported that BFR training produces strength gains similar to maximal resistance training (weights). It is important to note that not all BFR techniques and products are created equal. (B)STRONG proprietary equipment keeps you safe, while make the experience simple, effective, and fast to use. + HOW LONG WILL IT TAKE TO SEE AN EFFECT? + WHAT IS THE DIFFERENCE BETWEEN (B)STRONG BFR TRAINING AND NORMAL RESISTANCE TRAINING? + WILL B STRONG GIVE PEOPLE BIGGER MUSCLES AND GAIN WEIGHT? + WHAT IS THE EFFECT ON TENDON STRENGTH? + IS THERE A EUPHORIC EFFECT? – HOW DOES THE (B)STRONG BFR SYSTEM WORK? BFR is a breakthrough in understanding of how the body adapts to training stress and builds muscle, bone, blood vessels and tendons. The (B)STRONG BFR SystemTM works by slowing down or impeding the flow of blood exiting the limbs through the veins. As your muscles work, they use up available oxygen and other nutrients and normally the circulation brings more oxygen and removes metabolic waste products. Because the circulation has been impeded, there is not enough re-supply of oxygen to the muscle, nor enough clearing of metabolic waste products. The “environment” of the muscle fiber deteriorates to the point where muscle contraction cannot continue and other muscle fibers have to take over to perform the exercise. Soon all fibers in the muscle go into a state of “failure” and one cannot continue. You recognize this state as muscle burn or fatigue followed by not being able to do anymore repetitions. Your brain senses the distress and responds, as it normally does, by initiating autonomic and hormonal responses in an attempt to mitigate the conditions in the muscle and to adapt to the demands of the exercises. This process is the normal process of adaptation to severe exercise, but usually to get to this state, one must perform severe exercise like maximal weight lifting or many running intervals. This type of severe exercise usually damages the tissues involved. In the case of BFR Training, the situation was created by a combination of light otherwise easy exercises but with the blood flow to those muscles impeded. As a result of the distress in the muscle, growth hormone and other anabolic hormones are released into your blood stream. This hormonal cascade goes throughout the body and facilitates the repair and building of all tissues that have been working or were injured. Our team is dedicated to pushing the research into understanding all the underlying mechanisms, and establishing optimal application of (B)STRONG BFR TrainingTM. Get started today! + WHAT PRESSURES ARE REQUIRED FOR THE BEST SYSTEMIC RESPONSE? + HOW DOES BFR AFFECT TENDONS AND JOINTS IN TERMS OF STRENGTHENING? + DOES LACTIC ACID HAVE A ROLE IN THE B STRONG BFR TRAINING SYSTEM? + IF THERE ARE NO MICRO TEARS IN THE MUSCLES WITH THE B STRONG , WHAT DOES THE INCREASE IN LACTIC ACID AND SUBSEQUENT SECRETION OF GROWTH HORMONES DO? + IF IT IS TRUE THAT MINIMAL MUSCLE DAMAGE IS DONE WHILE DOING A B STRONG SESSION WITHOUT HEAVY WEIGHTS, HOW DO PEOPLE GET BIGGER AND/OR STRONGER WITH THE B STRONG? + HOW DOES BFR COMPARE TO OXYGEN DEPRIVATION STRATEGIES AND TRAINING IN HYPOXIA? – WHAT ARE THE SIDE EFFECTS OF (B)STRONG BFR TRAINING? We are unaware of any contraindications, negative side effects or complications from using the (B)STRONG BFR System when performed following the 5 Safety Rules. Always place bands in correct locations. Never exceed 20 minutes of inflation. Always use the (B)STRONG guidance app. Of course, if there is an ongoing medical emergency (e.g. heart attack, hypertensive crisis, hypoglycemic reaction, stroke, acute injury, etc. ), the individual should postpone the (B)STRONG BFR Training session and seek medical attention. + WHAT ARE THE EFFECTS OF (B)STRONG BFR TRAINING ON THE HEART? + CAN DOING (B)STRONG BFR TRAINING LEAD TO PULMONARY EMBOLISMS OR BLOOD CLOTS? + WHAT IS THE RELATIONSHIP BETWEEN MY BLOOD PRESSURE AND THE (B)STRONG BFR SYSTEM PRESSURE? + WHO SHOULD NOT DO THIS? + WHAT ARE THE RISKS? + CAN B STRONG BFR TRAINING SYSTEM PRESSURE GO OVER YOUR SYSTOLIC (OR DIASTOLIC) NUMBER? + COULD B STRONG BELTS PUT YOU AT HIGHER RISK OF VARICOSE VEINS? + CAN B STRONG BFR TRAINING SYSTEM BE USED EVEN AFTER AN INJURY LIKE A BONE BREAK OR MUSCLE TEAR? + WHEN SHOULD YOU NOT DO B STRONG BFR TRAINING? + WHAT IS THE RISK OF RHABDOMYOLYSIS FROM THE B STRONG BFR TRAINING SYSTEM? – WHAT IS OCCLUSION TRAINING AND WHY IS IT DANGEROUS? Occlusion training involves completely stopping blood flow into an extremity for substantial periods of time. It can damage tissue distal (below) to the occlusion. Completely occluding a limb for a substantial period of time increases the risk of blood clots in veins. Deep venous thromboses (DVT’s) can lead to pulmonary emboli, which can be fatal. Occlusion training can also lead to rhabdomyolysis (severe breakdown of muscle fibers), which can lead to kidney failure and possibly death. + WHAT IS THE DIFFERENCE BETWEEN OCCLUSION TRAINING, AND BLOOD FLOW RESTRICTION TRAINING? + IS (B)STRONG BFR TRAINING A FORM OF OCCLUSION TRAINING? + IF INDIVIDUALS CAN EASILY WRAP THEIR OWN ARMS WITH BANDS OR SURGICAL TUBING, WHY PURCHASE A (B)STRONG BFR SYSTEM? + WHAT % OF ARTERIAL FLOW RESTRICTION ARE B STRONG BFR BELTS ABLE TO OBTAIN? – WHO USES THE (B)STRONG BFR SYSTEM? 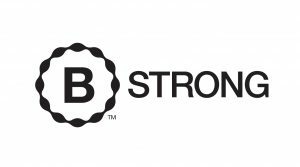 The (B)STRONG BFR System can be safely and effectively used by injured and non-injured athletes, as well as normal people of every age, ability and background. In our experience, we have used the (B)STRONG BFR System on both genders from 10 to 93 years of age. + WHAT IS THE BEST WAY TO START (B)STRONG BFR TRAINING? + WHAT TYPES OF EXERCISES CAN YOU DO WITH (B)STRONG BFR SYSTEM? + WHAT IS THE APPROPRIATE LEVEL OF PRESSURE WHEN DOING (B)STRONG BFR TRAINING? + CAN I USE ISOMETRIC EXERCISES IN MY B STRONG BFR TRAINING SESSION? DO YOU HAVE AN ISOMETRIC EXERCISE PROTOCOL? + CAN I USE B STRONG IF I HAVE SUFFERED A STROKE? HOW WOULD I USE IT? + WHAT PERCENTAGE OF 1RM SHOULD BE USED WITH THE B STRONG BFR TRAINING? + IS IT USEFUL TO SIMULTANEOUSLY USE THE B STRONG BFR TRAINING SYSTEM ON BOTH YOUR ARMS AND LEGS? + WHAT IF I DO NOT WANT TO PUT ON EXTRA MUSCLE? + HOW MANY TIMES PER WEEK SHOULD I DO B STRONG BFR TRAINING SESSIONS? + IF I WANT TO DO B STRONG ONLY ON MY LEGS, WHAT IS RECOMMENDED? + HOW DO I WORK MY CORE WITH THE B STRONG SYSTEM? + IS THERE A RECOMMENDED PERIOD OF TIME TO DO B STRONG? + ARE MORE SESSIONS BETTER? I.E. HOW OFTEN SHOULD SOMEONE PERFORM A B STRONG BFR TRAINING SESSION. WILL MULTIPLE TIMES PER DAY INCREASE PERFORMANCE? WOULD BACK TO BACK SESSIONS (MEANING ONE WORKOUT, RELEASE OF BANDS, AND THEN ANOTHER WORKOUT) IMPROVE PERFORMANCE? + SHOULD BFR BE DONE BEFORE, DURING, OR AFTER A NORMAL WORKOUT? + HOW SHOULD A TRAINER INTEGRATE BFR INTO THEIR ROUTINE?